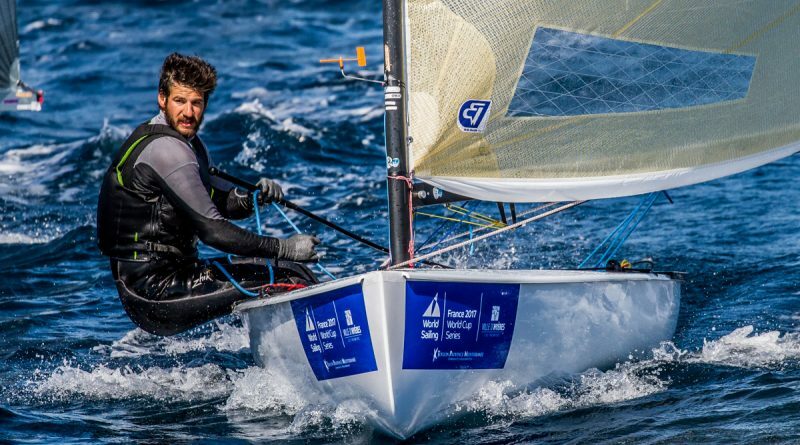 Turkey’s Alican Kaynar crushed his fellow Finn sailors at the World Cup Series in Hyeres, France after two brilliant race wins in some of the shiftiest, trickiest and difficult wind conditions of the week so far. 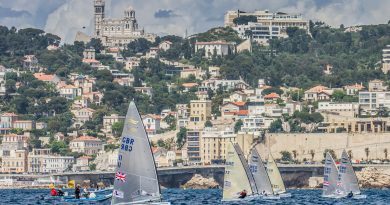 He now leads the fleet from Nicholas Heiner from the Netherlands and Great Britain’s Ben Cornish with just one day left of the opening series. The day started windy, very windy with a long postponement on shore. Finn bravado around the dinghy park did nothing to get the fleet afloat as the 30-35 knot winds buffeted the harbour early in the day. By the time they were released from AP at 1430 the strong breeze was fast evaporating in the warm Mediterranean sunshine. But at least the sun was shining at last. The first race of the day was sailed in 12-18 knots, but during the afternoon the breeze dropped out and the second race was held in 8-12 knots. 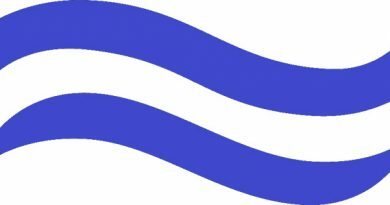 Oscar flag was dropped just before the start and caught out many sailors who had not seen the small flag missing among the so called ‘flag festival’ on the committee boat and began pumping down the first run, only to hear the Jury’s whistle behind them. For second overall, Fabian Pic from France and Oli Tweddell from Australia, it was their second yellow flag and the end of racing for them for the day. In Race 7, Kaynar led at the top from Finland’s Tapio Nirkko and Australia’s Rob McMillan. Despite his advancing years, this was McMillan’s fourth front row top mark rounding. 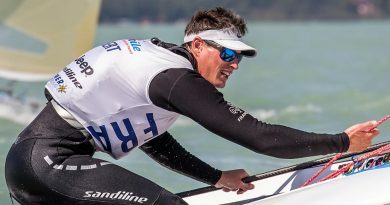 Great Britain’s Ed Wright passed the leading group downwind and led round the gate, but on the very shifty second upwind, Kaynar got past to lead down the run to the finish. However Wright kept the pressure on and at the finish was just seconds behind. Mikolaj Lahn from Poland sailed another great race to cross third. As the wind dropped further, Oscar flag for free pumping downwind was lowered for Race 8. It was still pretty patchy across the race course with areas of stronger wind and some less but the overall wind was still dropping. Again it was a very shifty race, with half the fleet overstanding in a big right shift at the top. Norway’s Anders Pedersen led round from the left from Kaynar and Tweddell but Kaynar had the lead by the gate and was never headed winning by a comfortable margin. 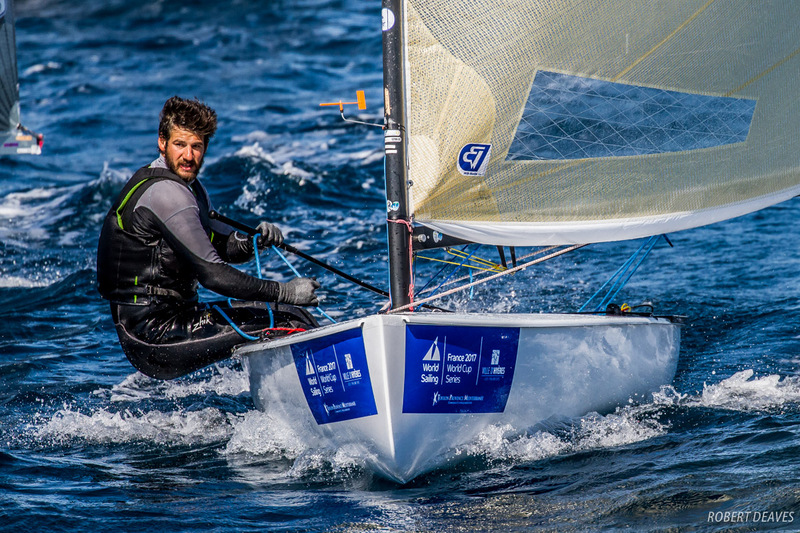 Zsombor Berecz from Hungary moved up to second at the gate, but he couldn’t stay there and on the final downwind Nirrko and Italy’s Filippo Baldassari came past for second and third. Two of the sailors here this week who are getting back with the pogramme after extended layoffs since the Olympics are Tapio Nirkko and Jonathan Lobert, both now in the top 10. Lobert, the bronze medalist from the London Olympics picked up two fifth places to move up to sixth overall. A seventh and second for Nirkko moves him into the top 10 for the first time. The opening series concludes on Saturday with two more races before the top 10 head into Sunday’s medal race.